What Is the Normal RSVP Time for a Wedding? Some Tips While Considering What is the Normal RSVP Time for a Wedding? Planning a perfect wedding is not a cup of tea. Lots of important things need planning, such as setting up a suitable date for the event, taking care of all the arrangements in time and sending out wedding invites at appropriate time so that people can plan accordingly. Clear instructions should be given regarding RSVP time to minimize the chances of confusion and last minute upsets. If you are wondering what is the normal RSVP time, here are a few tips and guidelines which we hope will definitely help you out. In order to get your wedding arrangements fully organized without any hiccups, make sure to give a final headcount to your wedding vendors and caterers at the suitable time. In order to accomplish this very important task, you should give out save-the-dates 6-8 months before the wedding date and sending out invitations at least 6-8 weeks in advance so that your friends and family members can confirm if they will be able to attend your wedding. The RSVP date should be at least two to three weeks before your big day as it will give you enough time to finalize your guest list. It is imperative to mention that even though you send the invitations early and ask clearly to RSVP as soon as possible, there will always be a few invitees who won’t reply on time. Not only is this practice annoying but can also affect the quality of your arrangements such as changing the list of head counts for caterers or a need to pay extra expenses while adding people at the last moment. In case the RSVP date has passed and you still haven’t heard from some of your guests, feel free to make a phone call and ask them about their plans so that you can give a final list of people to your caterers and venue management on time. 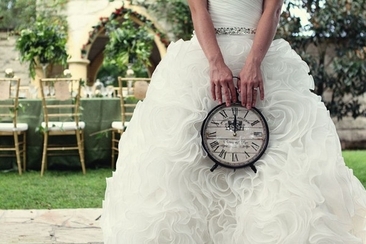 The rules for setting RSVP time for a wedding differ slightly for a destination wedding. You need to give more time to such guests. Usually three to four months before the wedding date invitations must be sent so that people will be able to get leave from their work and plan traveling. The RSVP time should be two months before the wedding ceremony. In case you are paying for their travel fare or arranging a hotel for them then you must send a destination wedding save- the- date so that you can know about their traveling schedule and other necessary information required to book hotels and making other arrangements for them. Here are some more details on how to set perfect RSVP date in order to get responses on time. As said above, an average RSVP time for a wedding is 2-3 weeks before the ceremony and if you are having guests out of town/country then you should send invitations 6-10 weeks before the wedding date as it will give them enough time to check their schedules and book cheaper and convenient flights. Or you can even send out invitations a few months before your wedding date as it will give enough time to your guests, BUT make sure to limit your RSVP deadline and there is nothing wrong in hurrying up your friends and relatives to confirm their arrival to your event. RSVP via social media is a great source to get replies within hours however some people still may not be very responsive on social sites therefore one must count on multiple options to get RSVPs. Regardless of setting a perfect RSVP time for a wedding, there are chances that you will face problems in getting the responses from your invitees. Here are some tips that may help you out. Send invitation at least three months before your wedding date to the guests living in another country. Still didn’t hear from guests? Give reminder via call, message or email. 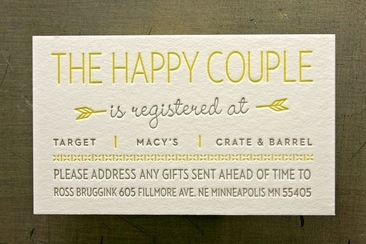 Make a wedding website and add that web address on invitation card and ask guests to look for more details over there. Be very specific and ask politely to your guests to send RSVP on email or website by desired time-frame. Some people would like to respond through text messages while some will find emails or online wedding websites easier. Therefore, be flexible and give multiple options to your guests. Be organized! Make a list or spreadsheet of guests who have RSVPed and who have not. In this way you won’t miss anything. Plan ahead and don’t send reminders when there are only two days in sending the list to the caterers. Decide a date for first reminder and also for when you should start calling. 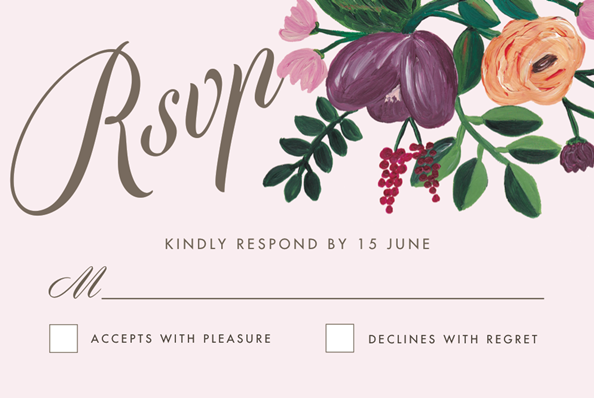 Some people don’t understand RSVP so it’s better to use simpler words such as please respond till (date). 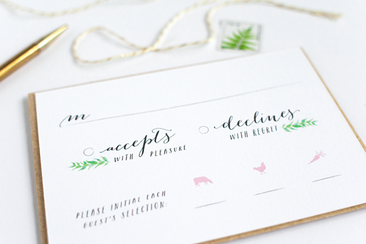 Sending rsvp with meal choices to the attendees make things a lot easier to manage. 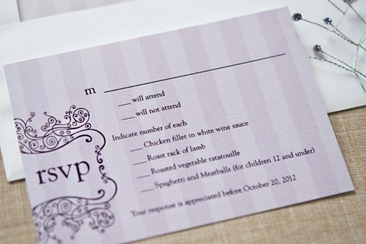 Here are samples for rsvp card with menu and etiquettes to follow. 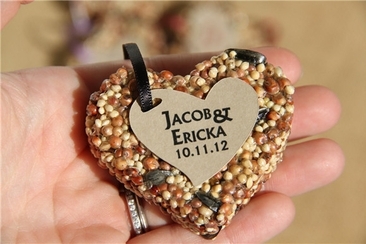 Not sure what to throw at weddings instead of rice? 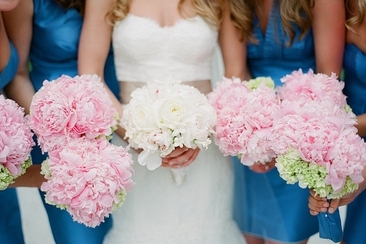 Check out a list of 20 fun and beautiful alternatives that photograph well to the tradition. You will love them! Do you know wedding guest etiquette rules? Check out this list and make sure you’re not committing any wedding faux pas and be a polite and welcomed guest.